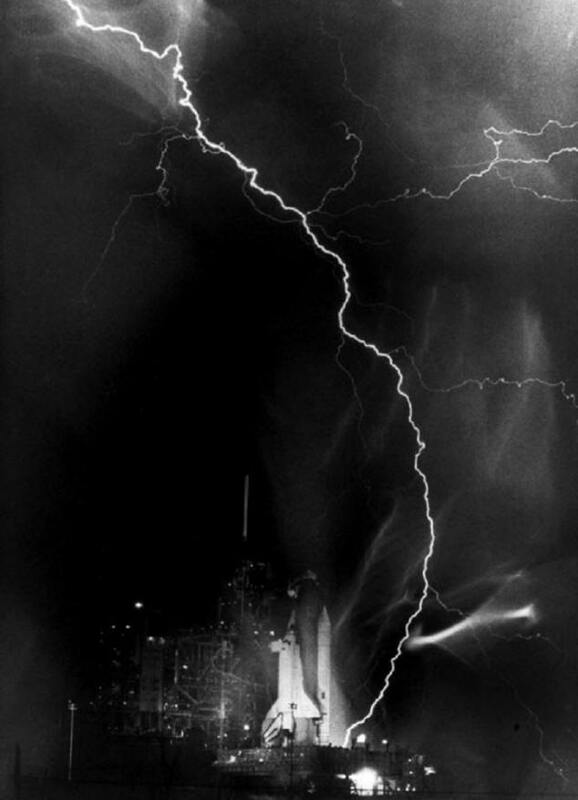 Gamma ray frequency electromagnetic radiation has been detected in terrestrial lightning strokes. On June 11, 2008, NASA launched the Fermi Gamma Ray Space Telescope (formerly GLAST) on a mission to identify the location of intergalactic gamma ray bursters. Otherwise known as GRBs, they generate intense energies detectable from millions of light-years away. Since gamma rays are unable to penetrate the ozone layer (except those with the highest energies), however, Fermi is in a low orbit that takes it out of Earth's atmosphere. According to a recent press release, scientists have been confronted with yet another surprising find: 17 gamma ray flashes have been detected in lightning from terrestrial thunderstorms. As the team analyzing data from the satellite noted, the gamma ray frequency "could have been produced only by the decay of energetic positrons, the antimatter equivalent of electrons." As Karl Popper once observed, though: "No matter how many instances of white swans we may have observed, this does not justify the conclusion that all swans are white." An electric discharge in plasma creates a tube-like magnetic sheath along its axis called a "double layer." If enough current flows through the circuit, the sheath will glow, sometimes forming other sheaths within it. Double layers form when positive charges build up in one region of a plasma cloud and negative charges build up nearby. A powerful electric field appears between the two regions, which accelerates charged particles. The electric charges spiral in the magnetic fields, emitting x-rays, extreme ultraviolet, and sometimes gamma rays. 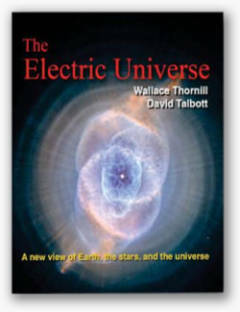 As physicist and Electric Universe advocate Wal Thornhill wrote: "In the Electric Universe model, there is no antimatter forming antiparticles. An electron and a positron are composed of the same charged sub-particles in different conformations. They come together to form a stable neutrino, emitting most of their orbital energies in the process. They do not annihilate each other. In that sense a neutrino embodies both the electron and the positron. It can have no antiparticle. 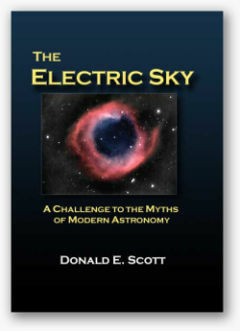 The bookmakers would be wise not to bet on the Standard Model of particle physics." The electromagnetic field beneath a thunderstorm increases (up to 10,000 volts per meter) and stores energy from the surrounding environment like a capacitor. A "wind" of charged particles blows toward the storm. In other words, a current flows into the cloud base. Surrounding air is pulled along with the current flow and creates powerful updrafts that sometimes rise into the stratosphere. Lightning is a plasma and creates a powerful electromagnetic pulse across a wide range of frequencies as it releases the charge build up in a storm cloud. 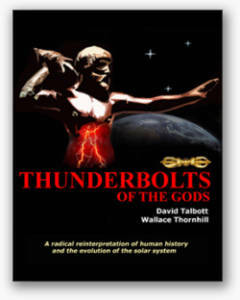 Thunderheads may be several thousand cubic kilometers in extent, yet all of their stored electrical energy travels down a discharge channel no wider than a man's waist. The z-pinch effect inside a lightning bolt's vortex causes rapid ionization, as well as particle acceleration fast enough to generate gamma rays.